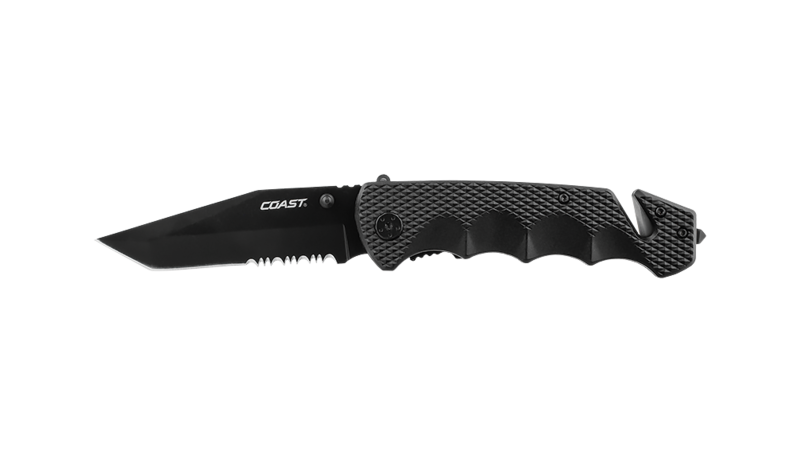 The Coast DX330 Double-Lock Folding Rescue Knife’s partially serrated tanto blade is constructed of 7Cr17 stainless steel and measures 3.25 inches long. Tempered alongside the knife’s formidable cutting power is Coast’s unique double-lock system, which works with the knife’s liner-lock. When opened, the liner-lock automatically engages the blade and locks it open. Should you need to do some heavy-duty cutting, simply push its double-lock switch forward. 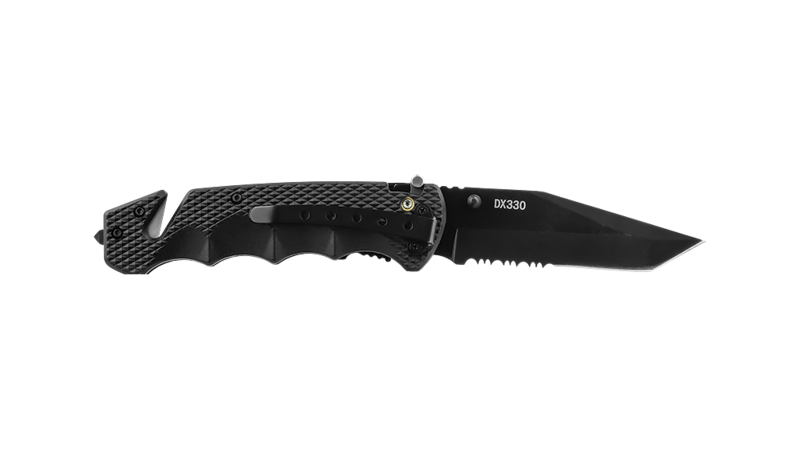 Once in the forward position, the switch prevents the liner-lock from disengaging, thereby stopping the blade from closing on your hand. Operating the Coast DX330 Double-Lock Folding Rescue Knife is quick and easy: Open the blade; push the switch located on top of the knife forward to engage its double lock; and pull back to disengage it. Are you left-handed? Perhaps right-handed? It makes no difference; simply use thumb studs on both sides of the blade to make opening the blade easy.